This is part of a series of podcast reviews. Having reviewed some, it turns out others have similar tastes when it comes to podcasts (see The Drum Up and Atomic Echo) and it’s thanks to them that I discovered The Bike Show from Resonance FM. Living in the South of France, Resonance FM’s London signal doesn’t reach me but I can subscribe to the show’s podcast via iTunes. It’s the variety that I like. The show might feature a discussion on pro racing one minute with Cyclesport magazine’s Lionel Birnie, the next it is discussing art derived from cycling or discussing messenger culture. If you come to The Inner Ring only for pro cycling then you might find some of The Bike Show’s content isn’t for you, but for me the diversity of content is a bonus… and you can always skip the content you don’t like. What’s good is the host’s enthusiasm for cycling in all forms. Jack Thurston’s what you might call a velophile. Whether it’s cyclesport or transport, Thurston’s enthusiasm for cycling is impressive and admirable. It’s got a cultural tone to it, book reviews and art appear on the show frequently but you get practical discussions on wheel building, road safety and bike security. 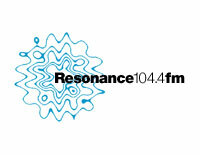 One criticism is that it’s aimed squarely at a British audience, indeed it’s London-centric but Resonance FM is a London-based community station, so I can’t complain. The Bike Show is great, will be listening to latest one on my way to work today. Thanks Alex, I've updated the links.